Blouch, R.A. (1988). Ecology and conservation of the Javan warty pig Sus verrucosus Muller, 1884. Biological Conservation 43: 295-307. Blouch, R.A. (1993). 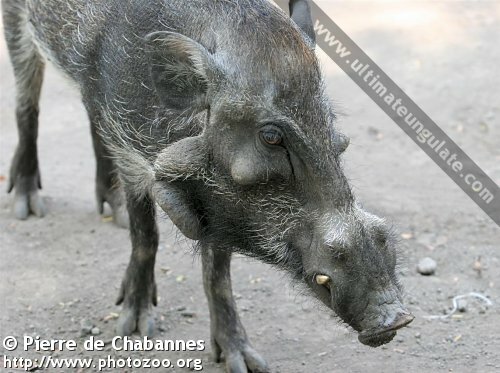 The Javan Warty Pig (Sus verrucosus). Pp. 129-136 in: Oliver, W.L.R. (1993). Pigs, Peccaries and Hippos: Status Survey and Action Plan. IUCN, Gland, Switzerland. Available online at the Pig, Peccary, and Hippo Specialist Group website. Groves, C.P. and Grubb, P. (1993). The Eurasian Suids (Sus and Babyrousa): Taxonomy and Description. In: Oliver, W.L.R. (1993). Pigs, Peccaries and Hippos: Status Survey and Action Plan. IUCN, Gland, Switzerland. Available online at the Pig, Peccary, and Hippo Specialist Group website. Lydekker, R. (1915). Catalogue of the Ungulate Mammals in the British Museum of Natural History, Volume IV. The Order of the Trustees of the British Museum, London. Pfeffer, P. and Caldecott, J.O. (1986). 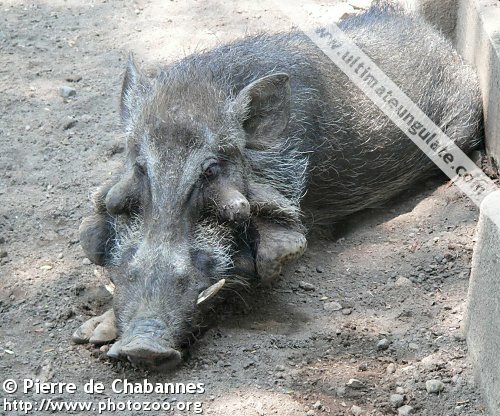 The bearded pig (Sus barbatus) in East Kalimantan and Sarawak. Journal of the Malaysian Branch of the Royal Asiatic Society 59: 81-100. Schmidt, C.R. (1990). Pigs. Pp. 20-47 in: Parker, S.P. Grzimek's Encyclopedia of Mammals, Volume 5. McGraw-Hill, New York. Semiadi, G. and Meijaard, E. (2006). Declining populations of the Javan warty pig Sus verrucosus. Oryx 40(1): 50-56. Semiadi, G., Meijaard, E. and Oliver, W. (2008). Sus verrucosus. In: IUCN 2011. IUCN Red List of Threatened Species. Version 2011.1 (accessed 28 Oct 2011). Available online at the IUCN Red List website. *Blouch, R.A. (1995). Conservation and research priorities for threatened suids of South and Southeast Asia. Journal of Mountain Ecology 3: 21-25. Blouch, R.A. (2001). Brief communication on Sus verrucosus. Asian Wild Pig News 1(2): 15. Blouch, R.A. and Sumaryoto, A. (1979). Proposed Bawean Island Wildlife Reserve Management Plan. (Unpubl.) rep. to WWF-Indonesia Programme and Directorate of Nature Conservation, Rep. Indonesia: 82 pp. Blouch, R.A., Banjar, Y.L., Heri, D.S. and Sumaryoto, A. (1983). 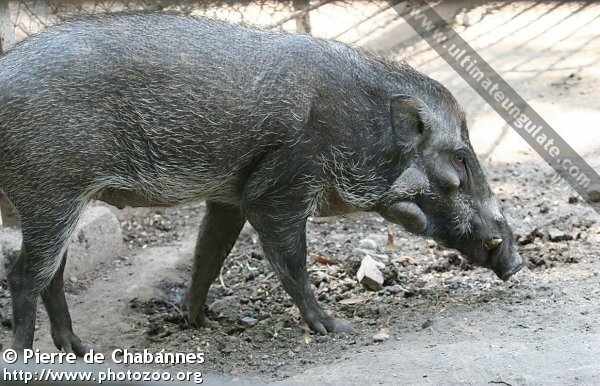 The Javan Warty Pig: Distribution, Status and Prospects for the Future. (Unpubl.) rep. to World Wildlife Fund, Bogor: 32pp. *Blouch, R.A. and Groves, C.P. (1990). Naturally occurring suid hybrid in Java. Zeitschrift fur Saugetierkunde 55: 270-275. *Bosma, A.A., de Haan, N.A., Blouch, R.A. and Macdonald, A.A. (1991). Comparative cytogenetic studies in Sus verrucosus, Sus celebensis and Sus scrofa vittatus (Suidae, Mammalia). Genetica 83: 189-194. *Groves, C. (1981). Ancestors for the Pigs: Taxonomy and Phylogeny of the genus Sus. Tech. Bull. No. 3, Australian National University Press, Canberra: 96 pp. Hardjasamita, H.S. (1987). Taxonomy and phylogeny of the Suidae (Mammalia) in Indonesia. Scripta Geologica 85: 1–68. Hoogerwerf, A. (1970). Udjung Kulon, the Land of the Last Javan Rhinoceros. E. J. Brill, Leiden: pp 331-349. Kurosawa, Y., Tanaka, K., Tomita, T., Katsumata, M., Masangkay, J.S. and Lucuata, A.Q. (1989). Blood groups and biochemical polymorphisms of warty or Javan pigs, bearded pigs, and a hybrid of domestic x wart pigs in the Philippines. Japanese Journal of Zootechnical Science (1): 57-69. MacKinnon, J. (1981). The distribution and status of wild pigs in Indonesia. (Unpubl.) 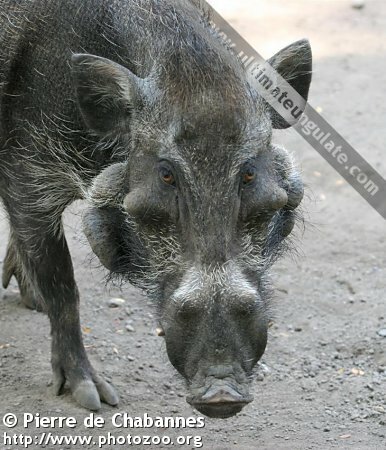 rep. to IUCN/SSC Pigs and Peccaries Specialist Group: 9 pp. National Research Council (1983). Little-known Asian Animals with a Promising Economic Future. National Academy Press, Washington D.C.: pp 80-84 & 122-123. *Nijman, V. (2001). Pigs of the Dieng mountains in Central Java. 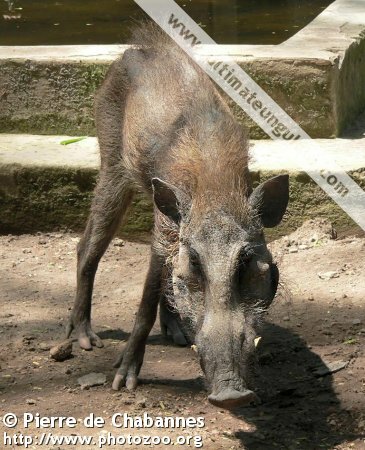 Asian Wild Pig News 1(2): 12-14. *Nijman, V. (2003). Notes on the conservation of the Javan warty pig Sus verrucosus blouchi on the island of Bawean. 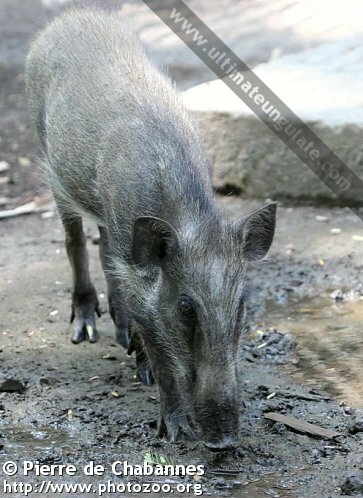 Asian Wild Pig News 3: 15-16. Sody, H.J.V. (1941). Tweede bijdrage ouer de voort-platinestijden del Indische zooedieren. Der Nederlansch-Indische Jager, II: 198-201. *Sody, H.J.V. (1941). A new race of Sus verrucosus from Madoera Island. Treubia 18: 393–394. *Wu Gui-sheng, Pang Jun-feng, Zhang Ya-ping. (2006). Molecular phylogeny and phylogeography of Suidae. Zoological Research 27(2): 197-201.